The mailbox watcher and synchronizer program mswatch 1.0.0 debuted August 5th; this was the first medium size open source program I started on my own accord. 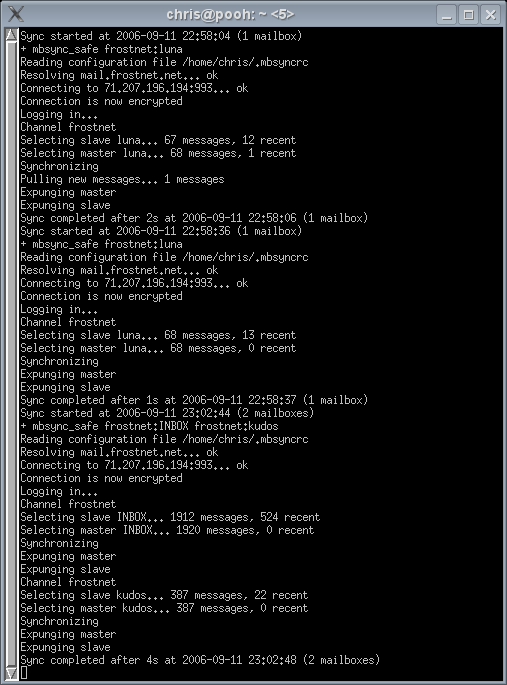 I had the idea to watch for mailbox changes instead of polling for changes in May or June and worked on mswatch as I had the chance through its stable release, 1.0.3 on August 10th. mswatch started as two shell scripts and in its path to maturity, led me to more c++-style program design and lex/bison experience, and to my first significant experiences with autotools, the linux kernel's inotify and dnotify mechanisms, programming loosely coupled programs that care about event ordering (important for not missing mailbox changes), and hosting a public project. 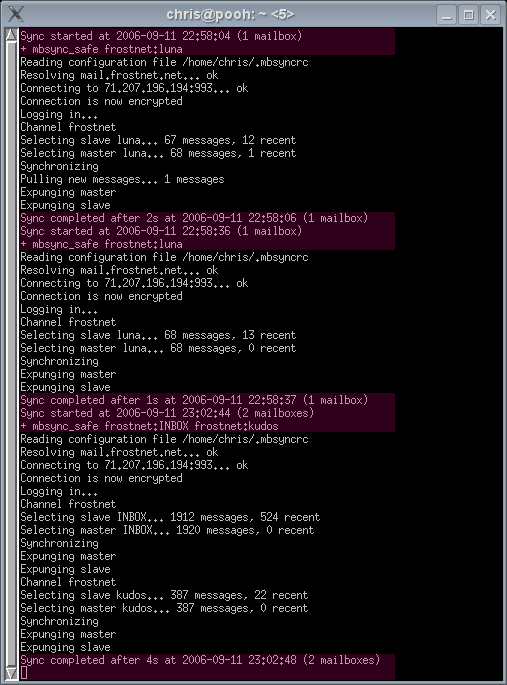 The pink-background areas are mswatch's output; other text is isync doing the actual mailbox synchronization.